My brother made this as a vegetable side one year for Thanksgiving and it was a hit. 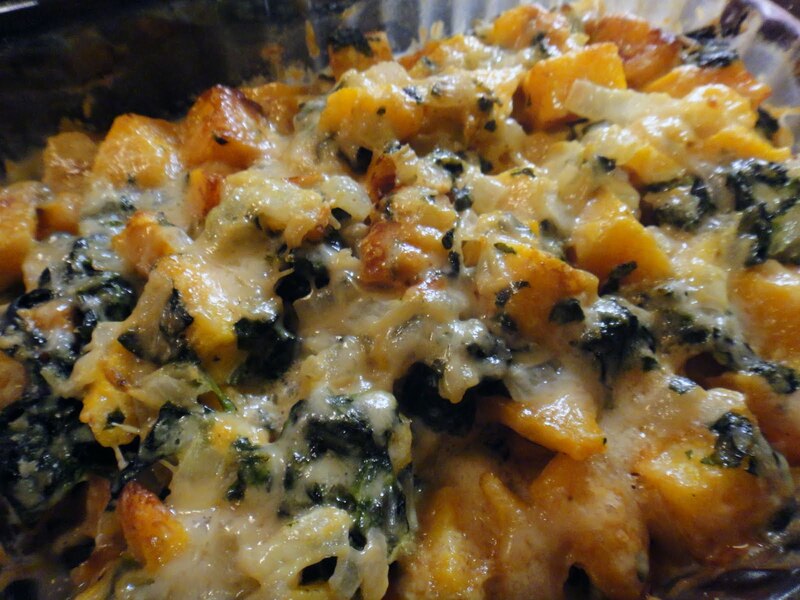 I have made it several other times- both as a Thanksgiving side dish, and just because I like it so much. I have used the prepackaged cubed butternut squash and peeled and sliced my own. 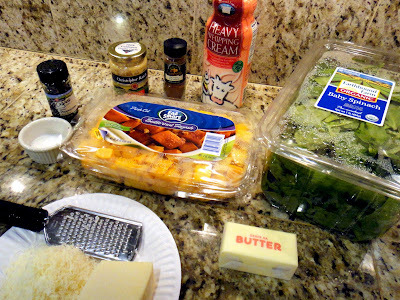 I have also used fresh baby spinach and frozen packages of spinach. 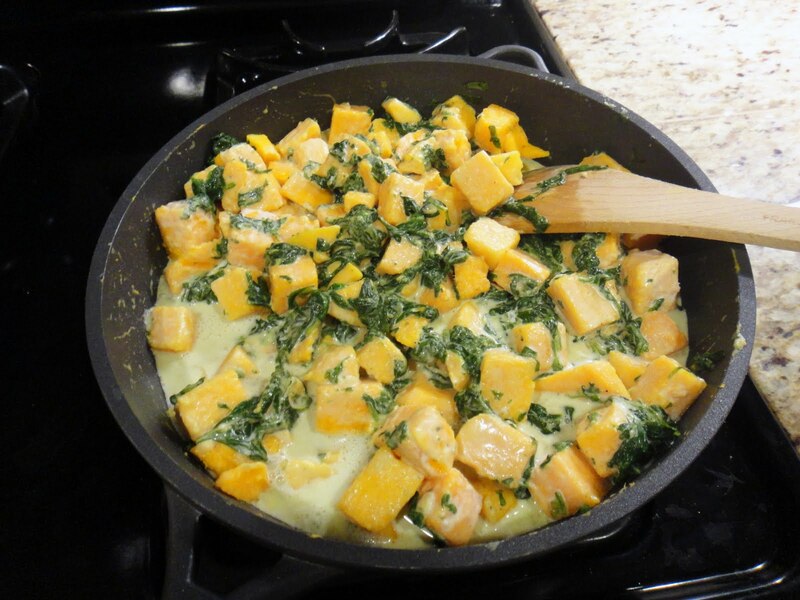 I think my favorite combo is fresh spinach and thinly sliced butternut squash. 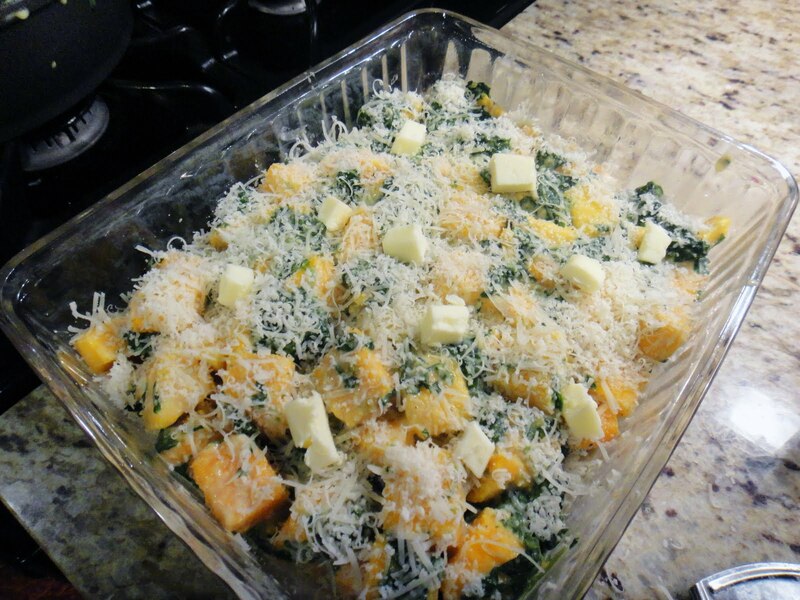 If using cubed squash, it is easier to combine the squash and spinach in the same mixture and then layer with Parmesan cheese. If slicing the butternut squash, keep the squash separate from the spinach mixture to layer: Squash, Spinach, Parmesan, Squash, Spinach, Parmesan, etc. Preheat oven to 400F. 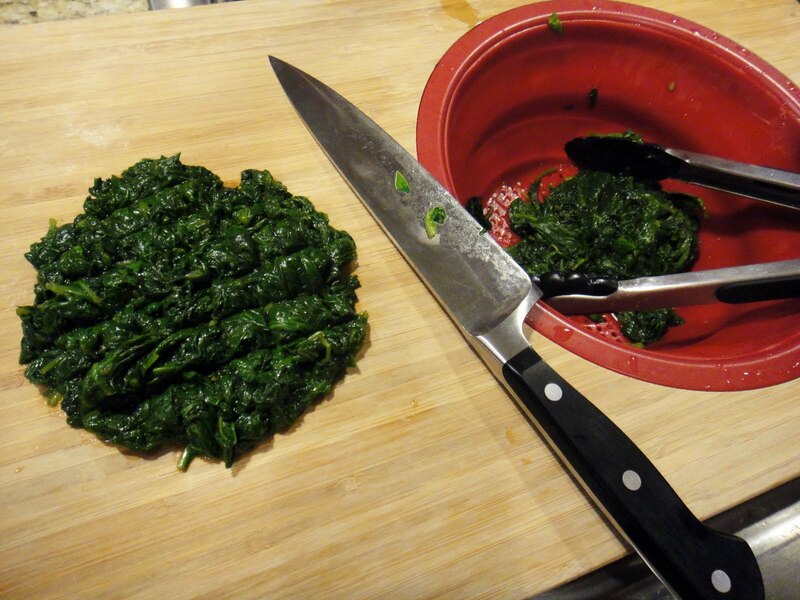 If using fresh spinach, bring 1 inch water to a boil in a 6- to 8-quart pot over high heat. Add spinach, a few handfuls at a time, and cook, turning with tongs, until wilted, 3 to 5 minutes. 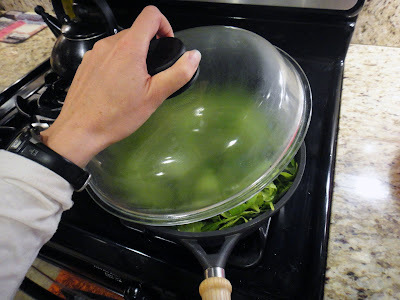 Drain in a colander and rinse under cold water. 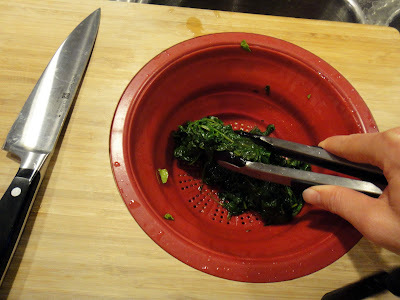 Thoroughly squeeze cooked fresh or thawed frozen spinach in small handfuls to remove excess moisture, then coarsely chop and transfer to a bowl. 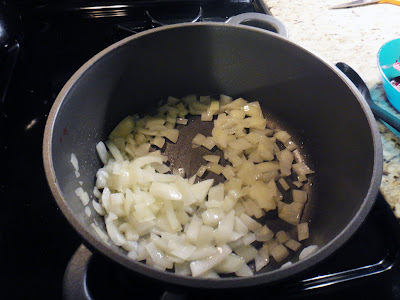 Melt 3 tablespoons butter in an 8-inch heavy skillet over moderately low heat, then cook onion and garlic, stirring, until softened, 3 to 5 minutes. Add onion mixture to spinach along with salt, pepper, nutmeg, and cream and stir to combine. Put oven rack in upper third of oven and preheat oven to 400°F. Butter a 3-quart shallow baking dish (13 by 9 inches). Cut squash to separate bulb section from solid neck section, then cut pieces lengthwise into 1/8-inch-thick slices with mandolin. **I have to wear plastic gloves while I handle the peeled butternut squash- otherwise it zaps all of the moisture from my hands. If you experience the same allergic reaction, get gloves or use a little olive oil to return the moisture to your skin. Layer squash and spinach mixture in baking dish, using about one fifth of squash and one fourth of spinach for each layer, beginning and ending with squash. Sprinkle top layer of squash evenly with cheese and dot with remaining 2 tablespoons butter, then cover directly with a sheet of parchment or wax paper. Bake until squash is tender and filling is bubbling, 25 to 30 minutes. Remove paper and bake gratin until browned in spots, 10 to 15 minutes, or broil 3 inches from heat, 2 to 3 minutes.